With the launch of hundreds of new cryptocurrencies daily, some are destined for a Bitcoin-style explosion, yet the vast majority will flop, crash, and burn. So, is there a magic formula for the success of an ICO? There are a number of ways to measure “success” but we’ve put together this list in order of increase in value (statistics accurate at time of writing). 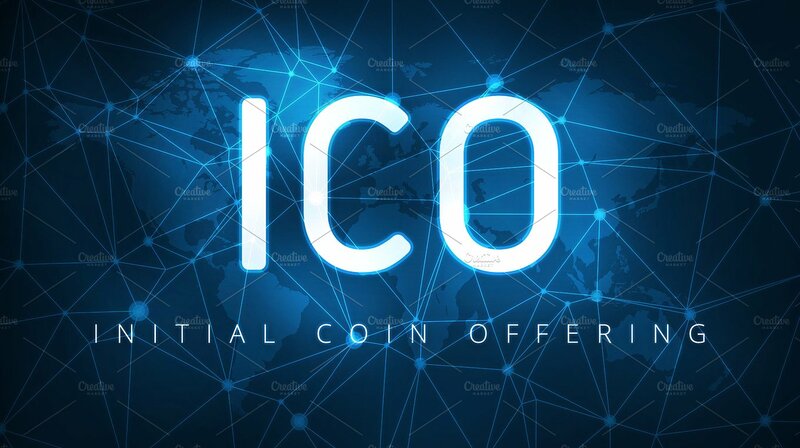 Let’s take a look at the 10 most successful ICOs of all time to see exactly how the biggest names in crypto are setting themselves up for the kill. While Ethereum looked to size itself up against Bitcoin, NEO went one step further. The first Chinese open source blockchain has more names than the Artist Formerly Known As Prince; but the vision of Da Hongfei and his Chinese team is stirring up the eastern seas of cryptocurrency. Known as “China’s Ethereum”, NEO also uses smart contract applications, but with the addition of decentralized commerce, digitized assets and identification. The success of their ICO may be in part due to the big names backing it. With support from Microsoft, Alibaba and the Chinese government, investors have every reason to be confident. If a single Ethereum token can hit $700+ in the West, the potential for China’s billion-strong market alone is a very promising sign for NEO.Judging by the huge hike in token value from $0.03 to $88.20, NEO has big things coming with a 294,000% ROI. As the second-most valuable cryptocurrency in the world, Vitalik Buterin and his team at Ethereum must be doing something right. Unlike Bitcoin, Ethereum is more than just a cryptocurrency. It is a ledger technology used to build and deploy decentralized applications a.k.a. “smart contract” technology – a program that automates the execution of a contract when the correct conditions are in place. After seeing the boom of Bitcoin in 2011, it was 4 years before Vitalik’s currency entered the marketplace and killed it. Ethereum’s ROI has been nothing short of jaw-dropping at 230,000%. Having sold its tokens at $0.31, an Ether token now sits at a whopping $713, second in value only to Bitcoin. Why? With its massive potential for application and innovation, Ethereum has piqued the interest of the corporate world that wants to take advantage of the potential for smart contract applications. The “premier privacy-focused cryptocurrency” is no stranger to controversy, having picked up a reputation amongst cypherpunks after carrying on from the Shadow Cash project. Enabling users to send and receive currency worldwide with total anonymity, it’s currencies like SpectreCoin that have most government tax offices quaking in their boots. Naturally the team behind the coin are quietly underground, headed by a lead developer who goes by the pseudonym “Mandica”. Utilizing the Tor network and some heavy-handed encryption, SpectreCoin is all but untraceable, and in the world of cryptocurrency, the value of anonymity is enormous. If you had bought a token back in November 2016, that puny $0.001 would be worth $0.64 today, or an ROI of 64,000%. With all this talk of money on the table, financial institutions have been licking their lips wanting to get a slice of the pie, and for them Stratis is the obvious choice. The UK-based startup has craftily created a platform that is compatible with .NET and C#, and as a result the product appeals to veteran users of Microsoft products. The nStratis platform offers businesses the ability to create, test and deploy custom applications without the need to set up or maintain their own infrastructure, so in a way it’s blockchain for (corporate) dummies. Few companies lend as much legitimacy as Microsoft, so their ICO had every reason to see success. Raising 915 BTC in 5 weeks, those who cashed in on the low investment of $0.01 per token have seen a titanic ROI of 56,000%. With Ark, collaboration is the name of the game. The platform’s SmartBridge is a lightning-fast ecosystem designed to integrate other cryptocurrencies into its blockchain. The project is decentralized from the inside out, with a team with 15 core members from 11 different countries. With the boom of cryptocurrencies, any tool that can bridge them is a means to make money, and Ark is exactly that. Investors were eager as any to buy in, and they have made a 35,400% gain given today’s token price of $3.54. After raising $5.8 million in 4 weeks at the price of $0.076 per token, Lisk’s ROI currently sits at 19,080%. At first glance its name looks and sounds like a Nordic god — a big clue to what Storj-x is all about. The platform aims to become the ultimate cloud storage facility, and the first one based on blockchain; faster, cheaper, and more secure than anything in existence. The STORJ token is part of this design. Users can purchase free hard drive space or rent it out in exchange for currency. The beauty of Storj-x lies in its simplicity. Not everyone wants to invest in something they don’t understand, and the concept of Storj-x can be grasped by your average computer user. Reaching their cap of $30,000,000 in less than a week, their tokens are up 11,888% and steadily growing. DGD, which stands for Digix Decentralized Autonomous Organization, is a self-governing community that gives out grants to different projects which will promote the growth of the DGX network. The DGD token is sometimes confused with a DGX token. Both are created by Digix Global, but with different purposes in mind. Slated for release in Q1 2018, the DGX token is a token backed by physical gold bullion. 1 DGX token will be equal to 1 gram of physical gold located in a vault in Singapore. DGD tokens have recently been getting a lot of attention after their recent price increase. At a current value of $346.88 per token, this gives them a ROI of 10,722%. After raising over 10 million dollars in June of 2017, Populous’s PPT tokens have gone one to increase over 6,800%. QTUM is an open-source value transfer platform which focuses on mobile decentralized apps or Dapps. QTUM is the world’s first proof-of-stake smart contracts platform. They hosted a highly successful ICO in March of 2017, and since that time have seen an ROI of 6,400%. What Can We Learn From Successful ICOs? Launching an ICO is not about luck, chance, or fate. While every contender on this list brings something different to the table, they all share one undeniable feature: value. From number 1 to 10, every single one of these cryptocurrencies brings something new and valuable to the table, or innovates and improves on an existing model. If you’re about to pull the trigger and invest in an ICO, look deeply at the coin’s value to see its real worth. Set yourself up for the kill.